另外有朋友提到注册问题. 注册对于在线翻译是必需的, 而离线翻译则未必, 而仅需下载一个文件即可: http://translate.evernote.com:8080/zh_CN/win_evernote_net/Resources.resx.po . 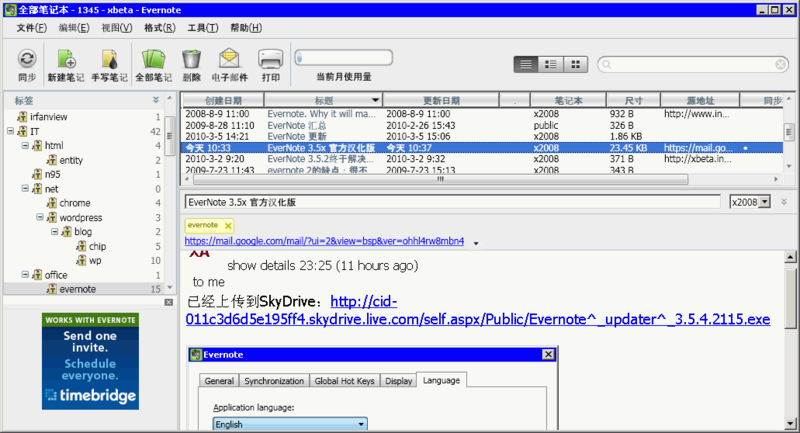 (其实就是进入Windows Client页面后点击左侧的”Show Editing Functions”, 找到相应的po文件下载). 注意:该文件会随时更新, 即协调员每次Accept或上传已整理好的po文件后都会更新.